Savvy Spending: Macy's: Free $10 gift card to first 250 people in stores tomorrow and Friday! 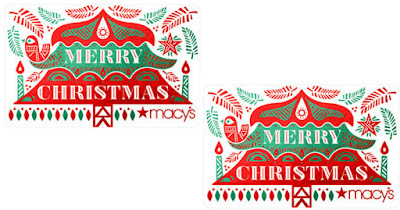 Macy's: Free $10 gift card to first 250 people in stores tomorrow and Friday! Tomorrow and Friday only, December 22nd and 23rd, the first 250 customers at 600 Macy’s stores across the country will each score a FREE $10 Macy’s gift card. These are available on a first-come, first-served basis beginning at store opening. I'd call your local store to verify what time they are opening. Limit of one per customer and redeemable in-store only. Go here for more information.